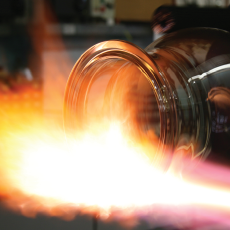 Based in a modern, purpose-built facility, Glass Solutions offers an extensive portfolio of ready-made laboratory glassware – including test tubes, beakers, separating funnels, condensers and reaction vessels – established over many years in response to customers’ demands. Each design can be rapidly reproduced and tailored to individual client’s particular needs, whether a one-off piece or a batch of glassware is required. For those occasions when a custom solution is required, the company also offers a bespoke design and glass-blowing service, using its knowledge and skills to turn novel ideas from a scale drawing into carefully crafted laboratory items. Whether you require routinely used equipment from the standard catalog or a unique individual piece, Glass Solutions is perfectly positioned to deliver on time, at a competitive price.